Canada’s home prices increased 4% year-over-year in the fourth quarter of 2018, a sign of the market recovering from “the most significant housing correction” since the financial crisis. That’s the conclusion of a report from Royal LePage which shows that the media price of a home in Canada rose to $631,223. For a two-storey home, the median rose 3.9% to $745,007, while the median price of a bungalow climbed 1.5% to $516,950. 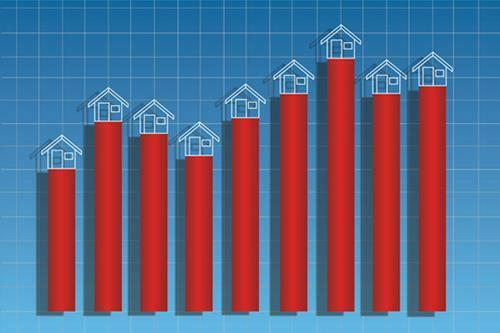 Condos remained the property type with the sharpest rise in prices nationwide rising 7.2% year-over-year to $447,915. "The invisible hand that guides our complex economy hit the real estate reset button in 2018 and that is a good thing," said Phil Soper, president and CEO, Royal LePage. "Major market home price inflation through much of the decade had led to dangerous overheating in our most populous regions. Government regulatory intervention and rising interest rates, when combined with property price overshooting, triggered the correctional cycle we find ourselves working through today." The report shows that secondary markets gained in Q4 2018 as buyers looked to more affordable options. Of the regions studied in the Royal LePage National House Price Composite, Windsor and Kingston saw the highest appreciation rates in Ontario, rising 14.7% and 13.8% year-over-year, respectively. Meanwhile, regions including Ottawa, Kitchener/Waterloo/Cambridge, and London saw strong aggregate price gains of 9.3%, 9.0%, and 8.9% respectively. Last week’s decision by the BoC to hold interest rates steady at 1.75% and its reduced economic growth forecast (1.7% in 2019 rather than 2.1%) has prompted some economists to reset their forecasts. But Soper says that the underlying economics should support growth for Canada’s housing market in the year ahead. “House prices and home sales volumes were soft and slow last year; expect modestly better results in 2019,” he said. One bright spot, he added, is better conditions for first-time buyers. This is due to easing prices, growing employment, and mortgage rates that are 40% lower for a 5-year FRM than they were a decade ago (3.5% now vs. 5.9% according to the Canadian Association of Accredited Mortgage Professionals). "Employment is high, rates are low, and home prices are essentially flat. 2019 is shaping up to be a year of rare opportunities," Soper said. However, tight inventory remains a challenge for many Canadian housing markets and Soper says policymakers must not take their eyes off the ball on this. "In down markets, construction tends to slow, exasperating our housing shortage problems. From there it is simple supply and demand; if we don't build more homes, we risk another housing crisis and a return to runaway prices in our major markets," he warned.